Leicester’s 2-0 win over Liverpool on Tuesday night was another key night in their improbable attempt to win the Premier League. The Foxes once again put in a hugely energetic shift and the home crowd at the King Power Stadium really got behind their side to make a cackling atmosphere. Liverpool had beaten Leicester at Anfield, so Claudio Ranieri’s side got a measure of revenge ahead of two enormous games in their Premier League campaign. Leicester’s two next matches are away at Manchester City and then away at Arsenal. Saturday’s game at The Etihad looks absolutely pivotal and if Leicester can avoid defeat they will stay three points clear of City. Meanwhile, the way things are going for Arsenal, it would not be a massive surprise were Leicester to come away with something from The Emirates. After the Arsenal match, Leicester will have just 12 Premier League matches remaining, no other distractions and will have played the other three sides tipped to finish in the top four – Spurs being the other one. A couple of punters won big on Leicester being top at Christmas, and there are now suggestions that if The Foxes do go on and win the Premier League, they will cause a huge dent in the bookmakers’ profits this year. On Tuesday night, a punter who backed Leicester at 5,000/1 with a five pound bet at the start of the season revealed himself on Twitter. Leigh Herbert, a Leicester fan, explained how he came to even put the money down and discussed on Twitter how he feels now about cashing out. If Leicester win the Premier League, Leigh Herbert will win a whopping £25,005.00. 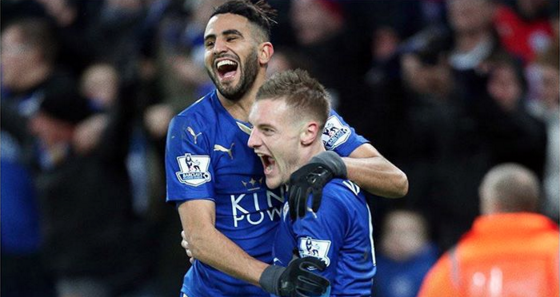 Leicester are now 5/1 to win the Premier League title, which still feels like quite long odds the way they are going! Herbert admits there is no cash out option yet. But, this is likely to come and we suspect, the bookie in question, William Hill, will offer him this, amid a blaze of publicity in the coming weeks.